If you've been following our tutorial series on using the Contacts Component in Joomla 3.0, then you're now ready to review how the actual contact form works. The contact form was created when we setup a Contacts menu item (which we did in our last tutorial). By default, all fields are mandatory except for the Send copy to yourself option. This message is being sent to you using the contact form on your website. You can change which page is loaded after the user submits the message, click here to find out how. 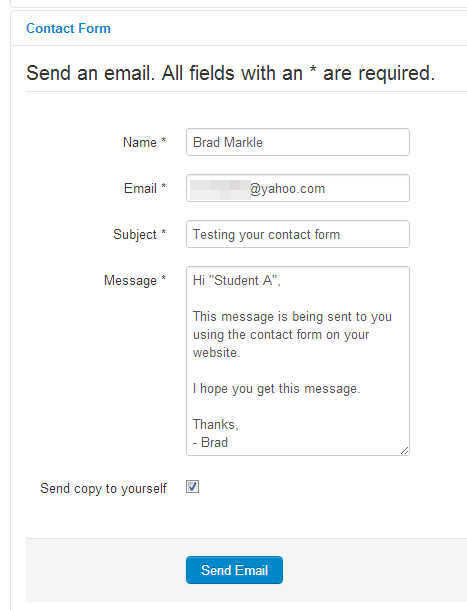 In our testing, the contact form we used was for Student A. Their Joomla username was j_appleseed and their email address on file was user2@domain.com. None of this information though was included in the email sent to Student A after the contact form was submitted. • InMotion Hosting is the Site Name that we setup in the Global Configuration. • Testing your contact form was the Subject that we typed in the contact form. • Best Website Ever is the From Name we setup in the Server - Global Configuration settings under Mail Settings. • do-not-reply@domain.com as another setting configured in the Mail Settings. It is the From email setting. Hi,Are there any way to have some validation on the email format being entered into the email field? hi,i want to change language in place holder and title i could to change title but i couldnt change place holdercan Can you help me? You may be able to do this with a language override within joomla. You can read more on the process here. Is this possible to add more emails in email field???? Are you referring to the email address(es) that will be receiving the input from the user? Or the field where the user enters their email address? Can you tell me please how to add two adresses to the e-mail field of a contact? Unfortunately with the default contact form there is no way to cc an email on your form without custom coding it to do so. The full process of creating and displaying a contact form on your Joomla site can be found in the Joomla contact form tutorial series in which this article is part of. How to add more fields in this form and recaptcha code. Click the Contacts menu type you would like to create. After doing so, you'll return to the New Menu Item page where additional fields will show. Fill out the appropriate fields and then click Save in the top left menu. When this part is completed, you have basically created the form. The tutorial above basically identifies how the form operates. I agree with the above comment. How do you create the contact form? 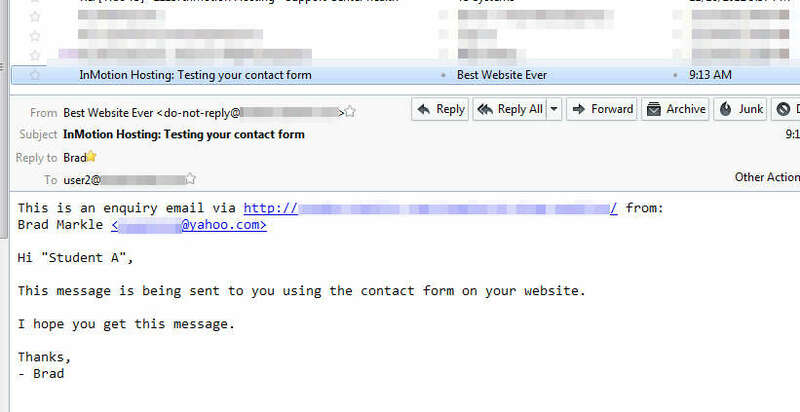 This tutorial states " The contact form was created when we setup a Contacts menu item". I have gone through it three times and do find any steps for creating the form.